Traditional Letting Agent or Online Agent? Looking at their glossy websites, it is easy to see how you can be persuaded. Most of the online agents provide all of the services provided by a traditional agent, but for a fraction of the cost. You can have your property listed on Rightmove and Zoopla, and have an inventory and tenancy agreement drawn up for as little as £199 + VAT. The only thing that online agents can’t do, is carry out the viewings. Good reputable agents will be completely up to speed with changes in legislation and best practice and will be a great source of professional advice. 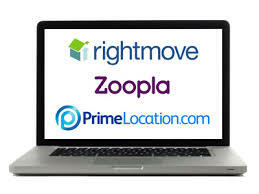 High-street agents operate locally whereas online agents operate nationally. A good traditional letting agency is worth its weight in gold and often local knowledge is crucial when dealing with that first enquiry. High-street agents can offer a face-to-face service and for Landlords and Tenants alike it can be an advantage to be able to pop into an office and speak to someone face-to-face. Most high-street agents have very large overheads compared to online agents, so they have to charge more for their services. Tenant selection is the key to a successful tenancy. High-street agents will deal with all the enquiries, arrange the viewings, and show the prospective tenants around the property. Online agents are a good option for experienced landlords who are familiar with the letting process but just need to advertise their properties on the main property portals. If you haven’t rented a property before, you would be wise to use a trusted local agent who can guide you through the process from start to finish.